Oppo’s Reno 10X Zoom lets you zoom up to 10 times while clicking photos: Is it making way for OnePlus 7? Oppo Reno is the company’s flagship smartphone that joins the rank of OnePlus smartphones and gives us a clear idea of what the OnePlus 7 is going to come with. Launched at an event in Beijing, China, the Oppo Reno has two models – Reno 10X Zoom and Reno – that come with a rather unusual approach to the sliding cameras on the top. It’s not alienated to what we have seen before on the Oppo phones but there’s more real-estate to the slider now, with a slanted design, that swings. The front camera, which is a 20-megapixel shooter, is integrated on a pie-shaped slider that is hidden on the top of the phone. When the camera app is opened with front camera chosen, or at the time of face unlock, the slider pops up in an inclined position to the left at 11-degrees. The slider also has an earpiece speaker and the soft light LED flash on the front and the rear LED flash on the back. Oppo says that the slider takes about 0.8 seconds to pop up. This setup is available on both Reno and Reno 10X Zoom. On the back, there are two cameras – one is a 48-megapixel Sony IMX586 sensor with an f/1.7 aperture, supported by the 6P lens. The secondary camera is a 5-megapixel depth sensor with an aperture of f/2.4. The Reno 10X Zoom has one more camera on the back, besides the one available on Reno. The third camera on Reno 10X Zoom an 8-megapixel super wide-angle (120-degree) sensor with f/2.2 aperture and 10x hybrid optical zoom. There are Dual OIS and PDAF available on the sensor. The cameras boast of features such as Smart HDR, PDAF, and pixel aggregation technology. The super zoom technology that is touted to collect information in a photograph at 10x optical zoom was announced by Oppo at its MWC Barcelona event. The company did not share what phone it is going to equip with this technology at that time. The company has provided a button on the back of the device that allows the camera to dive deep into its zooming capabilities. The crystal globe-like button available below the camera island on Reno 10X Zoom needs to be scrolled to enable zoom. The Oppo Reno and Reno 10X Zoom come in three RAM and storage combinations – 6GB/128GB, 6GB/256GB, and 8GB/256GB. There is, however, a noticeable change in the read-and-write frequency of both the RAM cards. The Reno does not support microSD card support but the Reno 10X Zoom has a hybrid dual slot. Powering the Oppo Reno is an eight-core Qualcomm Snapdragon 710 processor with up to 2.2GHz. The Reno 10X Zoom is powered by Qualcomm Snapdragon 855 processor with eight cores clocked at up to 2.8GHz. There are changes in battery capacity as well. The Reno is backed by a 3765mAh battery while the Reno 10X Zoom has a 4065mAh battery under the hood. Both the smartphones support Oppo’s VOOC Flash Charging 3.0. 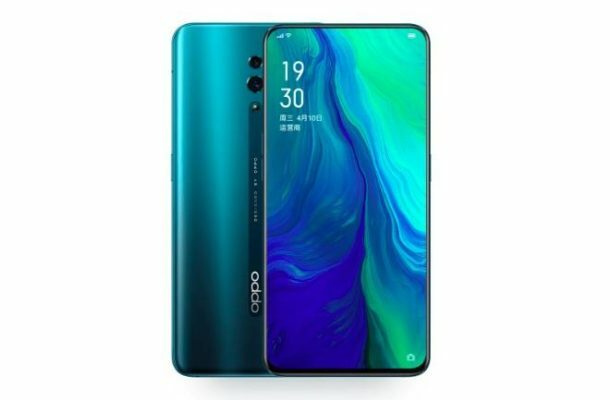 With the Reno and Reno 10X Zoom, Oppo is introducing the ColorOS 6 that is based on Android 9 Pie. It was launched last year where the company revealed new features and design language but the list of eligible devices was not revealed. Oppo has also launched its own digital assistant called Breeno only for the Chinese market. It is much like other digital assistants that take voice commands to do mostly everything Google Assistant on Android phones outside China. The Oppo Reno 6GB/128GB is priced at 2,999 yuan (approximately Rs 31,000), the 6GB/256GB version costs 3,299 yuan (approximately Rs 34,000), and the 8GB/256GB model will be available at 3,599 yuan (approximately Rs 37,000).